AND FINALLY: The wrong kind! The London – Beijing air route is now even more competitive with Air China last week adding Gatwick to its UK operation. 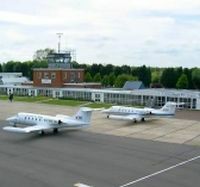 The four times per week service complements the airline’s long established daily Heathrow route. British Airways also flies daily from Heathrow to Beijing. Air China is the second airline this year to use Gatwick for additional London flights, Korean Air recently arriving at the UK capital’s second airport. Mr Wu Xiao Ming – General Manager UK & Ireland for Air China, said: "This is a true milestone for Air China and an ideal opportunity for the company to respond to the ever increasing demand to China and beyond." Mr Malcolm Day – Sales & Marketing Manager UK & Ireland for Air China said: "Adding London Gatwick to our UK network now gives passengers a real choice of departure points within the South-East. London Gatwick is well placed for us for passengers to connect to Central London as well as the City with an efficient and seamless train service." Following the acquisition of bmi, and its slots, British Airways has quickly stepped in with the announcement of a six times per week service to Seoul (South Korea), in direct competition with Korean Airlines who now offer both Heathrow and Gatwick as London destinations. The service will begin on 2 December 2012. Operating the route will be a Boeing 777, offering First Class, Club World, World Traveller Plus and World Traveller cabins. Drew Crawley, British Airways’ Commercial Director, said: “We have seen significant growth in customers wanting to travel to Seoul for both business and pleasure. It is a vibrant city with a strong economic base, rated eighth in the Global Cities Index this year. The Sheraton Grand Hotel & Spa in Edinburgh has re-opened following a multi-million pound renovation. Located in the heart of the City, in Lothian Road, beneath the Castle, the property features 269 guest rooms, designed in a contemporary Scottish style with frosted glass-walled bathrooms and state-of-the-art technology. Facilities include a newly-installed Sheraton Club Floor, where Club guests receive exclusive access to a bright and spacious Club Lounge which serves breakfast, drinks and light snacks throughout the day. 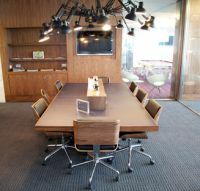 There is also a new dedicated meetings and events complex offering 14 stylish and flexible function rooms, making it the largest conference and banqueting area in a hotel in Edinburgh. The property also boasts the six-storey, 3,250sqm One Spa, one of Europe’s most advanced city spas. 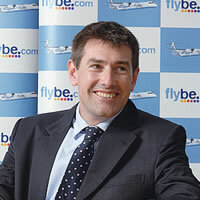 Flybe, part-owned by British Airways, has published its 2012-13 winter schedule with 4.8 million seats on sale, offering a total choice of up to 2,760 flights a week on a comprehensive selection of 100 routes. Two new routes operating for the first time are between Birmingham and Waterford, and Newcastle to Bergen (Norway). The airline will also offer a series of popular, winter only, ski and sun destinations. The introduction of Flybe’s first five new 88-seat Embraer 175 jet aircraft have also now taken to the skies and are becoming extremely popular with passengers. 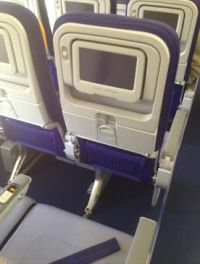 These, added to the many product improvements, such as the airline’s New Economy product, the removal of debit card charges and increased technology to reduce the hassle of air travel through UK airports will greatly benefit passengers travelling this winter. Durham Tees Valley Airport, its official title, is to embark on a marketing campaign supported by major operator, KLM, who offers a three times daily service to and from Amsterdam. The promotion is one of the first initiatives since the announcement in February that Peel Investments (DTVA), a wholly-owned subsidiary of the Peel Group, acquired the majority shareholding in the airport, securing the continuation of operations and business at the airport. Airport Chairman Robert Hough explained: “We all recognise that one of our most important assets is the long-standing commitment of KLM to Durham Tees Valley and the importance of their service to the area’s economy. Manchester has become linked with Washington DC following the introduction of a United Airlines eight-hour non-stop daily flight last week. 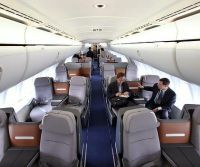 The route complements the airline’s service to Newark New York also daily and non-stop. 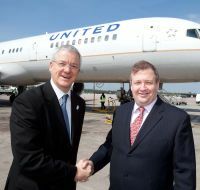 Bob Schumacher, United’s Managing Director Sales, UK & Ireland, was joined by Andrew Harrison, Chief Operating Officer for the Manchester Airports Group (MAG), at a ribbon-cutting ceremony to mark the occasion. Our vision for London Luton recognises the importance of the airport to the region, as well as to easyJet, and the airport’s potential which would see London Luton grow passenger numbers, destinations and local employment. We also recognise the vital role which London Luton can play as part of the Government’s strategic intent of more effectively using airport capacity within the South East of England. Our vision reflects the need for improved airport infrastructure, increased accessibility and a wider need to build a positive consumer image of London Luton Airport. At its heart is the desire to deliver for the passenger and to support the easyJet aim of making travel easy and affordable. * Making the airport easy to get to – improved frequency of fast trains to and from London, removal of the charge for the Luton Airport Parkway shuttle bus and delivery of Junction 10a. * Passenger friendly terminal facilities – Reduce waiting times at security and immigration. Increase the number of stands to remove the need for bussing to planes, an improved terminal experience – more seating and retail on the way, not in the way. * Airfield infrastructure to enable efficient operations – cost effective parallel taxiways, wider taxiways to avoid airfield congestion. * Delivering at the right cost base – efficient and cost effective development alongside matching airline growth commitments. * Growth and infrastructure phased – Airport development should be phased alongside realistic growth targets – to deliver value for all stakeholders. It’s clear that at present London Luton Airport is not as good as it could be, and it should be positioned to play a bigger part in overall airport capacity in London and the South East. We therefore broadly welcome the infrastructure development plans from the Council and London Luton Airport Operations Limited. However, developing the airport infrastructure is only one part of what is needed at London Luton. We believe that the airport and the Council should work proactively with airlines to find the best solution for passengers and for the local taxpayers who ultimately own the airport. This solution must cover airport infrastructure, improvement of road and rail access and the changing of old perceptions which are holding us back. It goes without saying that all of this has to be achieved at a sensible cost. Therefore, if we grasp this opportunity now London Luton will grow, deliver a great passenger experience and significantly contribute more to the local and regional economy. With this framework we look forward to seeing the plans develop as quickly as possible. easyJet has a unique interest in the future vitality of the airport given that it represents around 50% of current passenger numbers, bases 16 aircraft, operates 34 routes and employs over 1,000 people at the airport. 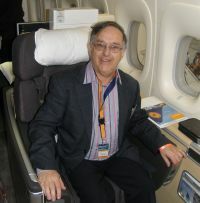 In addition, London Luton serves as the airline’s International Headquarters. 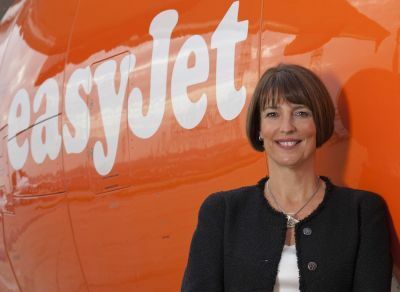 Carolyn joined easyJet on 1 July 2010 as Chief Executive. Prior to this, she was Chief Executive of Guardian Media Group plc. Carolyn was a Non-executive Director of Lloyds TSB from 2008 to 2009, Non-executive Director of Tesco Plc from 2005 to 2008 and Non-executive Director of New Look from 1999 to 2005. She was Chair of Opportunity Now and a former President of Women in Advertising and Communications London (WACL). Carolyn was awarded the OBE for services to women in business in June 2008. In April 2008, she was named Veuve Clicquot Business Woman of the Year. She graduated from Kent University with a BA in History and Politics and from London University with a Masters in Politics. We have launched our strategic vision for London Luton Airport. This follows on from the two recently published master plans from Luton Borough Council and London Luton Airport Operations Limited (LLAOL). 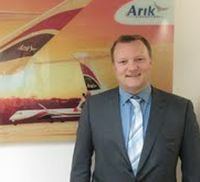 Business Class customers using Arik Air to Lagos from Heathrow can now take advantage of a dedicated car service. The chauffeur driver arrangement will collect a passenger anywhere within a 50-mile radius of Heathrow and drive them to Terminal 4 using a fleet of new climate controlled vehicles where customers can enjoy plenty of space and comfort as well as receiving free daily newspapers and wi-fi. The new scheme only applies to UK booked and originating clients. The passenger will receive an SMS notification confirmation of the booking at the time of booking, a day before departure and when the driver is 15 minutes away from pick-up and when the chauffeur is outside the pick-up point. Founded as far back as 1950, Cimber Sterling has finally been grounded and declared bankrupt after a series of financial problems, and a number of owners. Several airlines have come in with offers for stranded passengers. According to OAG, 27 routes were being operated. From its base at Copenhagen Kastrup Airport the carrier serviced a number of regional airports and flew holiday charters to mainly Mediterranean resorts. Cimber Sterling is registered in the Travel Guarantee Fund. This means that clients may be able to obtain a ticket refund if bankrupt insurance was taken out at the time of booking. Tickets paid for by credit cards may well be under the same rules. 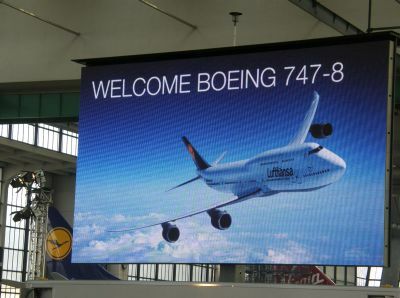 China is now at the forefront of aviation expansion. In a review OAG, the airline data specialist, has looked at the situation with a detailed analysis following the Routes Development conference in Chengdu. OAG says that China has led airline expansion over the previous decade, but that challenges in passenger yield and fuel costs may have slowed expansion plans. Looking at the development of capacity from the two main Chinese airports (Beijing and Shanghai) on long haul services, the line appears to be diverging from trend. Shanghai seats to the US are slowing (just 2%) and growth in the Beijing expansion to the US has stopped and is starting to decline (-3%). Capacity between Shanghai and Europe is also continuing to grow, though the pace of expansion is slowing too. ATR, the Franco-Italian manufacturer based in Toulouse, has marked an important stage in its history with the delivery of its 1,000th aircraft, an ATR 72-600 for Spanish airline Air Nostrum, which operates a franchise with Iberia. This delivery symbolizes the success of the ATR programme and the ATR 42 and ATR 72 family of aircraft. ATR delivered its very first ATR 42 on 3 December 1985 to the French airline Air Littoral, joining the exclusive ranks of aircraft manufacturers having delivered 1,000 planes. Rezidor is to develop the Park Inn by Radisson Glasgow City Centre. The property, featuring 91 rooms, is scheduled to open in Q1 2013. It is Rezidor’s 31st Park Inn by Radisson in the United Kingdom, bringing the group’s total portfolio in the country to 5,400 rooms in operation and under development. “The United Kingdom is a key development region for our young and dynamic mid-market brand Park Inn by Radisson. We aim to grow the brand in the core market London, and in further primary locations such as Glasgow,” said Kurt Ritter, President and CEO of Rezidor. Glasgow is a one of the most important markets in the UK. 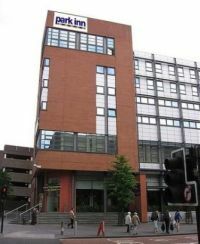 With a prime location in central Glasgow on West George Street the new Park Inn Glasgow City Centre was previously an office building. It will feature an all-day dining restaurant, lounge and bar, gym and 200m2 of meeting facilities with a conference room and four meeting rooms. flydubai, the budget airline of the Emirate, has inaugurated four times per week services to its latest destination Sana'a (or Sana), the capital of Yemen, one of the oldest continuously inhabited cities in the world. The city does not have any direct flights to Europe and limited links to various points in the Middle East. Yemen, which incorporates Aden, has had an unstable history but is the only state in the Arabian Peninsula to have a purely republican form of government. The fact that flydubai is operating at all would indicate some confidence in the current government. With Porter Airlines now up to 12 flights per day from Toronto City Airport to New York Newark, Air Canada, flying the flag for Star Alliance, has hit back with a new commuter service from Lester Pearson International Airport to JFK. Air Canada is now unique in serving all three major New York airports, the aforementioned plus LaGuardia. The Toronto – JFK flights are operated by Air Canada Express using a 50-seat CRJ regional jet. The JFK service, using Terminal 7, will have early morning, mid-day and evening arrivals and departures. With the new operation, Air Canada will offer a total of up to 38 return flights a day to the New York metropolitan area from Toronto, Montreal, Ottawa, Calgary and Vancouver. A British court has awarded a family compensation for when they were stranded in Madrid following the Icelandic volcanic ash disruption in 2010. Iberia has been ordered to pay the Marshal family the cost of alternative travel and accommodation plus compensation totalling £10,000. The airline had refunded the cost of the flight tickets of approximately £1,000. It is estimated that fighting the case cost Iberia £50,000. Marriott is to expand into France with its joint venture AC brand, already established in Italy, Portugal and Spain, where combined there are already over 80 properties. The AC by Marriott is a 4-star European lifestyle brand that fits in nicely with the Marriott choice of properties. With a superb location in the centre of Nice, the 143-room former Elysée Palace Hotel is situated just a stone’s throw from the old town and the magnificent blue waters of the Mediterranean Sea. With a lively rooftop terrace featuring an outdoor swimming pool and restaurant offering panoramic views of Nice and the Mediterranean, the property is set to become one of the most stylish addresses in the city. All AC Hotels by Marriott offer complimentary wi-fi and free mini-bars. British Airways will over the next few months disembowel BMA, the once proud British airline vanishing from September, Peter Simpson MD of BA CityFlyer now managing affairs. Some 500 staff will be affected. BA owner IAG says that it is unlikely to find a buyer for bmibaby but it is understood that negotiations are still going on regarding bmi Regional. Where it fits in as a stand-alone feeder, charter and point-to-point operation, is uncertain. Eastern Airways and Loganair could have an interest. easyJet is to become the first low-cost carrier to launch flights between London and Luxembourg taking on the BA and Luxair duopoly. 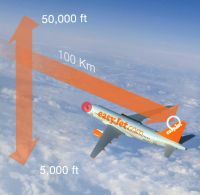 Now the UK's largest airline in terms of passenger numbers, easyJet says that it plans to service Luxembourg from Gatwick from 29 October 2012. This is the first time a low-cost carrier has launched services on this important route, the airline saying that 20% of passengers are on business travel. Luxembourg is a key commercial European centre with a number of large global companies basing their headquarters in the city, including well known brands like Amazon, Paypal, Exxon Mobil and Skype. Another new destination is the Isle of Man from Gatwick with a single flight daily except Saturday. The airline will compete head-on with the established Flybe operation and comes about after the cessation of the Air France/CityJet service from London City. Servisair, the Manchester-based airport handling company, has confirmed the opening of a re-branded Aspire lounge at Helsinki Vantaa Airport. This follows similar introductions at Gatwick and Liverpool. Servisair is currently rolling out the lounge concept to a number of airports in Europe, each individually designed to meet the needs of different passengers and reflect the identity and culture of the location. The designer lounge at Vantaa Helsinki was created with the assistance of Finnish design and architecture company Gullsten and Inkinen. It has been imaginatively designed to include features such as a traditional Shake wood wall, carefully selected bubble chairs, distinct zones to meet the needs of different customers along with shower facilities should guests wish to freshen up. The Liverpool lounge has been specially planned to meet the needs of both business and leisure travellers with the addition of carefully designed side tables within the seating areas, which will facilitate laptop, iPad or gaming console and re-charging facilities. No.1 Traveller, the airport hospitality specialist, has teamed up with Hong Kong Airlines to offer passengers complimentary access to its award winning lounge at Gatwick North. All passengers flying on the recently launched route from Gatwick to Hong Kong will be able to experience the premium setting and service of what is an outstanding product. 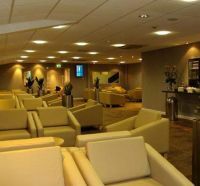 The lounge is on the main floor of the departure area making access very easy. It offers complimentary hot and cold food, a fully-tended bar, unlimited wi-fi, a spa, business facilities, cinema, billiard and games room. There are facilities for children quite separate from the main area. 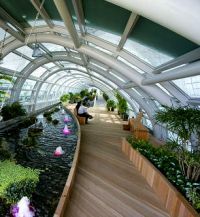 The arrangement follows news that it has been recognised as having the ‘Best Business Facilities of any airport lounge in the world’ at the recent Priority Pass awards. It beat over 600 lounges across the world to the title, which is voted for by Priority Pass members and based on over 40,000 separate ratings. It has been confirmed that during the airspace restriction period of the London Olympics, 14 July to 15 August, Heads of States' aircraft will gain no privileges with slot bookings as the events are not deemed 'State' occasions. The Foreign Office estimates 150 aircraft visits at that level and say at this stage there have been few bookings. All non-scheduled traffic will be banned into Heathrow. The real challenge for all executive aircraft is the road journey to the London Olympic venues with Battersea the nearest helicopter operation and London City, for fixed wing, very limited both with slots and size of aircraft. Just in case you have not heard the border control delays at UK airports which were, according to Immigration Minister Damian Green, “due to the wrong sort of weather”. This of course follows those well known explanations “wrong sort of snow”, and the daddy of them all, “wrong sort of rain”. If you are an athlete arriving for an Olympic event please be very careful. THINK ABOUT IT. They are a sponsor.